Hi, friends. It’s finally here – my 2017 Christmas tour! First I want to thank Mary of A Stroll Thru Life for hosting this seasonal tour! And, if you are here visiting from Jennifer’s, Decorating Delirium, welcome! I can’t wait to see her home all decked out for Christmas! Today, I’m sharing Part 1 of my 2017 Christmas Tour. And, we are going to start things off a little different with the upstairs of my home! Tomorrow, I’ll be back to share my living room, dining room and kitchen. Now, let’s get today’s tour started with a look at my cozy bedroom. This space is my retreat at the end of the day and the place where I struggled to get out of bed each morning – ha, ha! And, I love to make it cozy – especially in the winter months. I added just a few berry accents to brighten things up for the holidays! 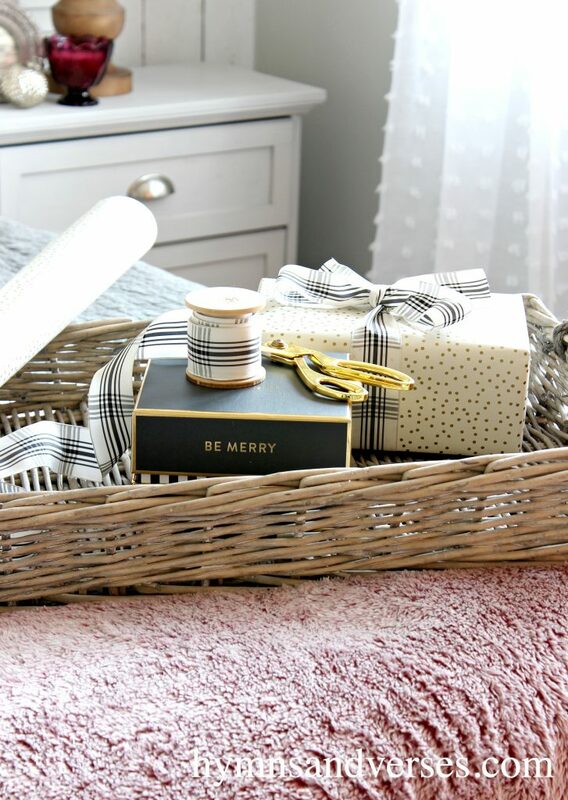 The throw at the end of the bed is the perfect cozy blanket for winter. 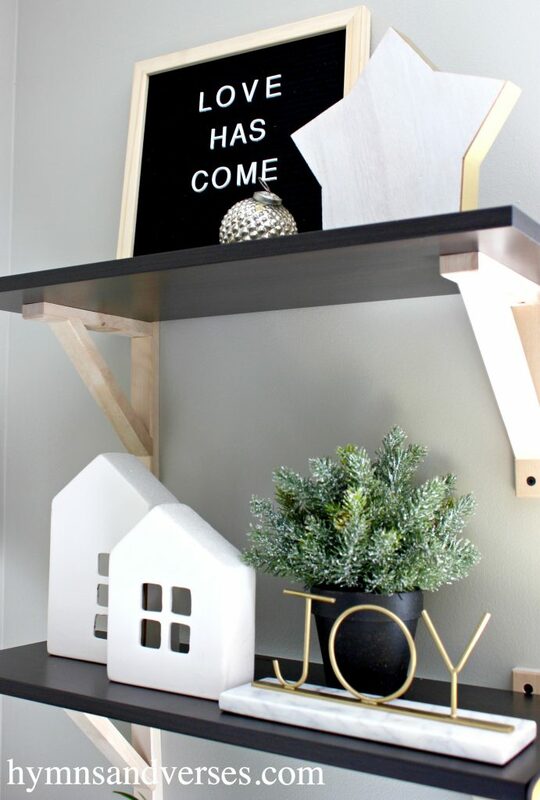 Of course, I had to create a new sign for above the bed and this phrase from A Night Before Christmas was what I chose. A long winter’s nap sounds really nice right now, ha, ha. The toile stag euro shams are from Pottery Barn last year, and I’m so glad I got them in the gray, because they didn’t have that color this year. I found THESE cream colored large wale corduroy euro shams on Amazon for such a great price and the quality is amazing. I love the texture of the corduroy – it adds to the cozy factor! I made the pom pom and jingle bell garland a few years ago and this year I draped it over the headboard. The velvet berry lumbar pillows are from HomeGoods. 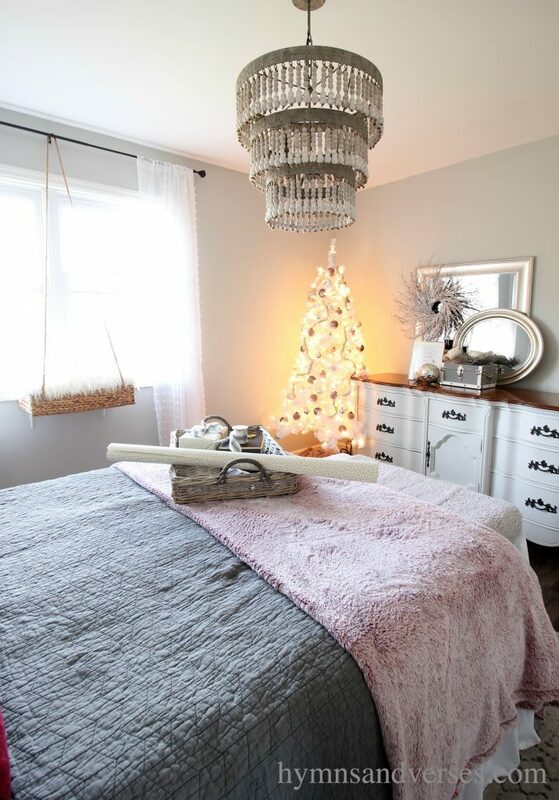 I love the glow of a Christmas tree in the bedroom. I decorated the white tree with mercury glass, gray, and berry colored ornaments. 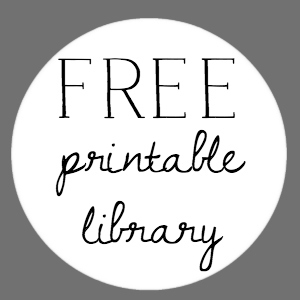 This Angels We Have Heard on High print is free to my subscribers, along with access to my free printables library. You can download and print it from your home computer. 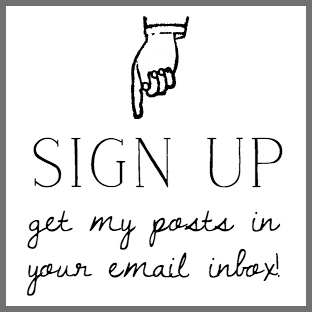 Just subscribe to my blog at the end of this post and you can get your copy today! 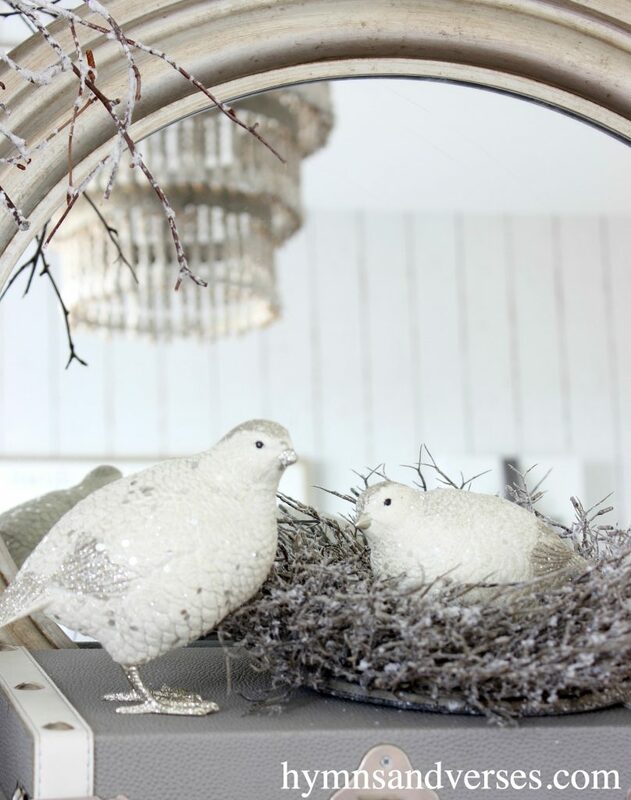 I saw these little glittery birds this year and just could not pass them by. Aren’t they sweet. I popped one in a snowy twig wreath to look like a nest. When the kids were little, Mark and I would wrap their gifts in our bedroom. I guess that has become somewhat of a tradition. Here’s a peak at our hallway upstairs. You can see a glimpse of my favorite light fixture in our home. Now, lets move into my new home office. I just completed this space about a month ago for the One Room Challenge. 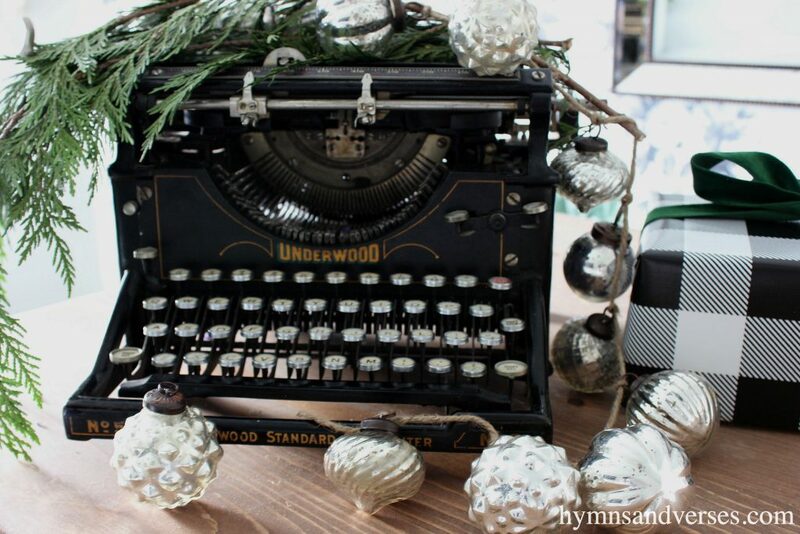 Of course, I had to add a few seasonal touches to the space and my favorite is my vintage Underwood typewriter with some cedar branches and mercury glass ornaments. I also added a few Christmas items to the shelves. The vintage Santa print is from The Graphic’s Fairy. You can find it HERE. Karen’s site is my go-to source for vintage prints. 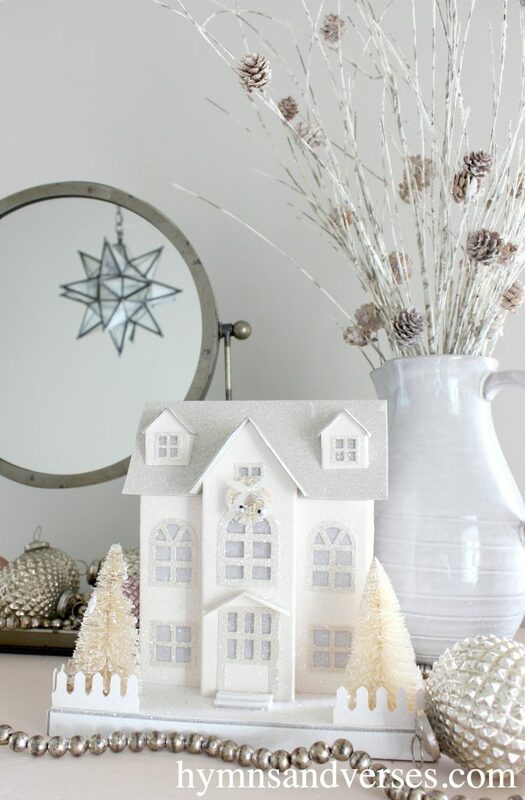 Thank you for stopping by to see Part 1 of my 2017 Christmas home. I hope you will stop back tomorrow to see Part 2! The next stop on today’s tour schedule is Simple Stylings. I love Summer’s style and you don’t want to miss her tour! Below is the complete Christmas Tour schedule – just in case you missed any of the previous days! Grab another cup of coffee (or tea) and browse through them all! 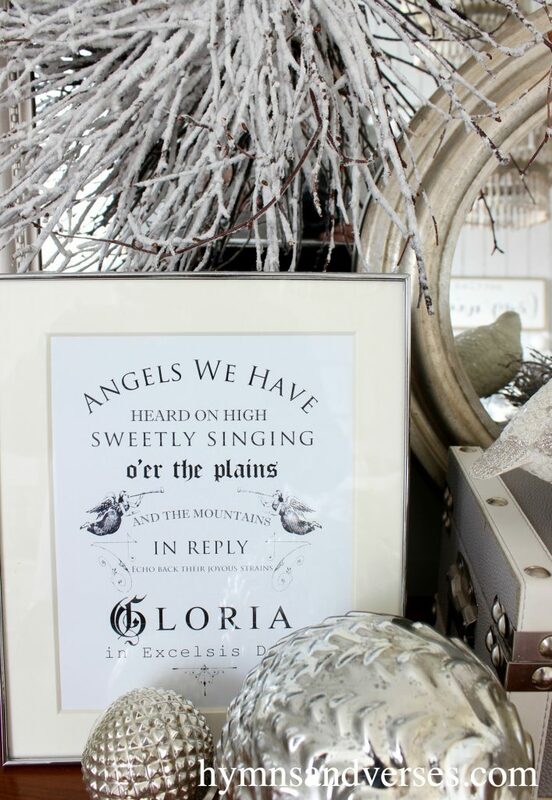 And, don’t forget to sign up to receive my blog posts in your email and get the Angels We Have Heard on High printable today! Beautiful tour Doreen. Love the corduroy shams. That is a fabulous price! 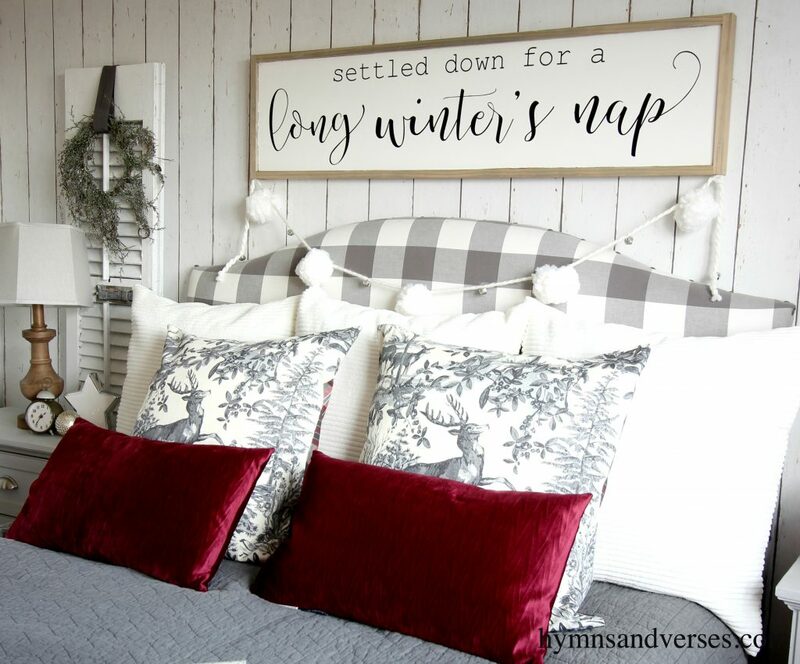 Regarding your ‘settled down for a long winter’s nap’ sign – where did you have it made? I loved seeing all of your lovely touches! 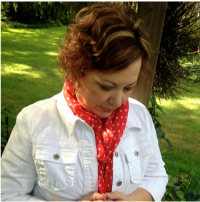 Thank you for sharing them with us – and I look forward to tomorrow’s post! Hi, Liz. Thanks so much for your sweet comments! I actually made the sign myself. Your bedroom I see beautiful. I love that throw on the end of the bed. So pretty. Everything is just beautiful!! 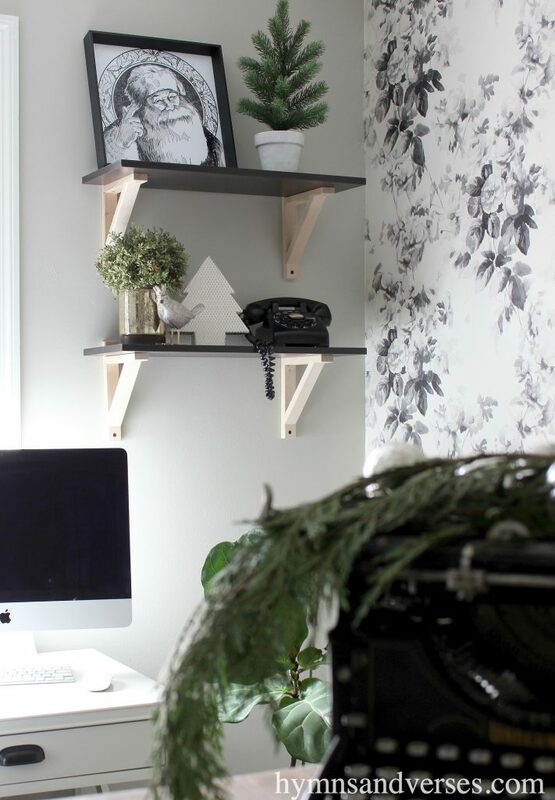 I love your style and get so much inspiration from your blog! I especially love the colors in your bedroom! So pretty and cozy comfy!! Oh so warm and inviting. 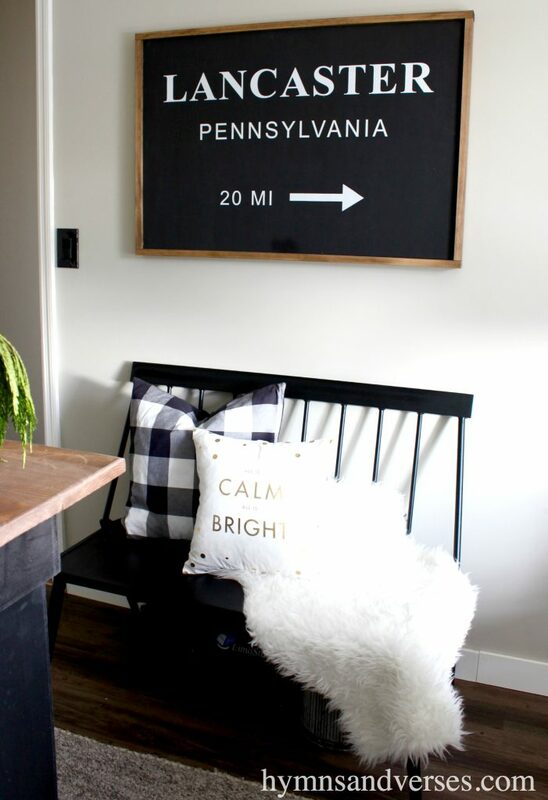 I love how you personalize your home with your signs and graphics, they make it so special. Your bedroom does look warm and cozy. Your office is a dream, you really outdid yourself on that one. Love that vintage typewriter, I remember typing on one. haha Thanks so much for joining the tours, your home is always so beautiful. 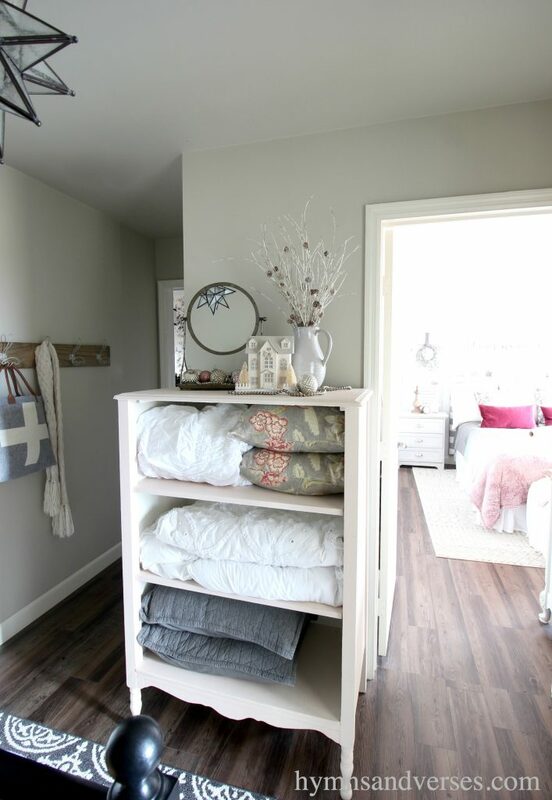 I might have overlooked it, but could you please tell me where you purchased the gray quilt and shams? Thank you! 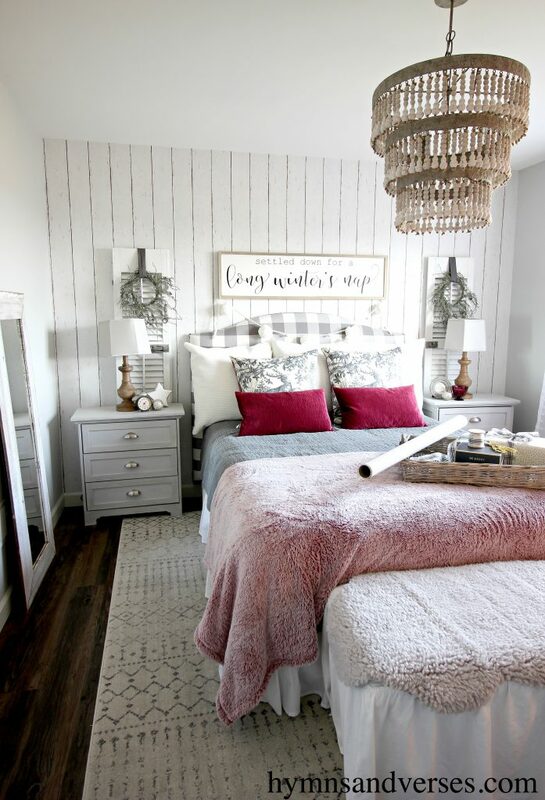 I LOVE that bedroom/bedding. Doreen your tours always speak to my heart. I just adore the sign you created above your bed. Everything looks so calm and serene. 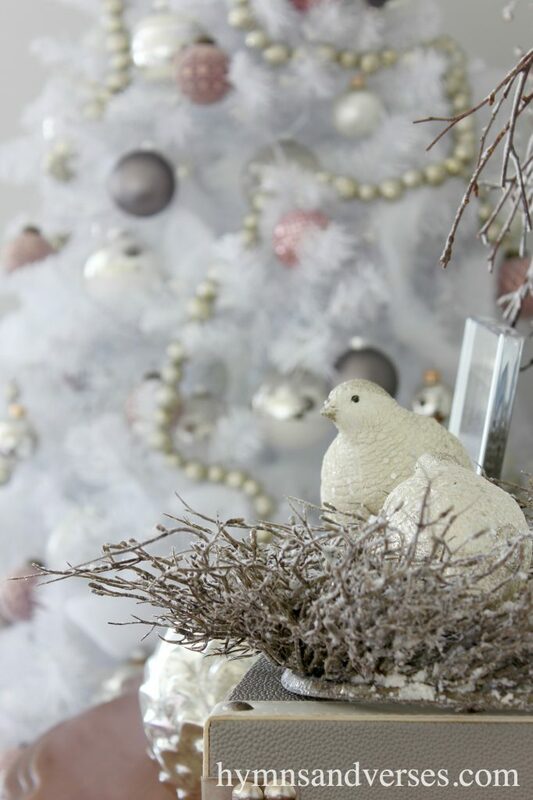 HI, Doreen, it all looks so beautiful and festive for the season! You do such a great job with your home and decor. Merry Christmas to you and yours! Everything looks so cozy. I would have a hard time getting up from that room as well. Please tell me if the wall behind your bed is real ship lap or wallpaper. If it is wallpaper, could you tell me the name/manufacturer. Thanks and Merry Christmas. I always look forward to your home tour Doreen, you just have a way making things look different and fresh every time! 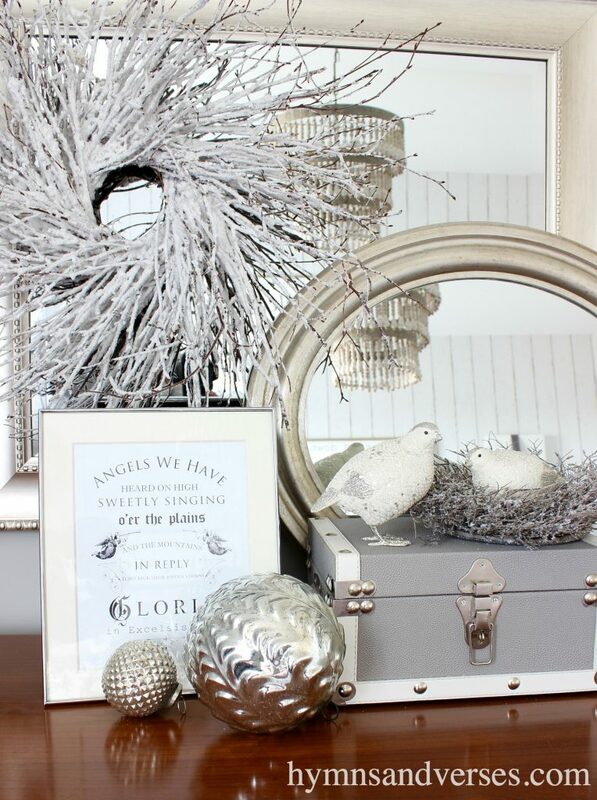 I find inspiration in your home for my decors for next year! As always, so honored to share this home tour with you! Cheers! Old being the true meaning of Christmas. She was excited about having been invited to church one evening. She had not been in so long and wanted to read her Bible again. God uses every place—prisons, enemy territory and even bathrooms while traveling as places to spread his good news. And yes. Even Target! Keep letting God guide your steps. Hugs. Prayed for you this week as you had a hard year. 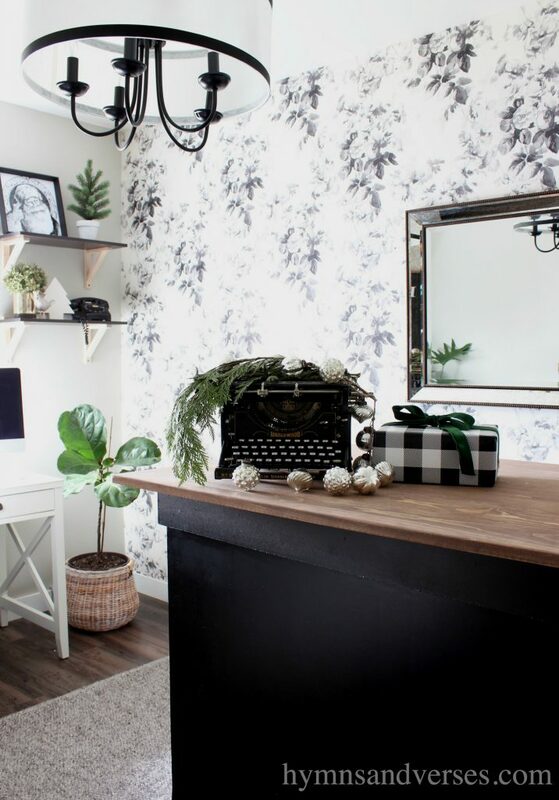 Dorren- your home tours are always so pretty. 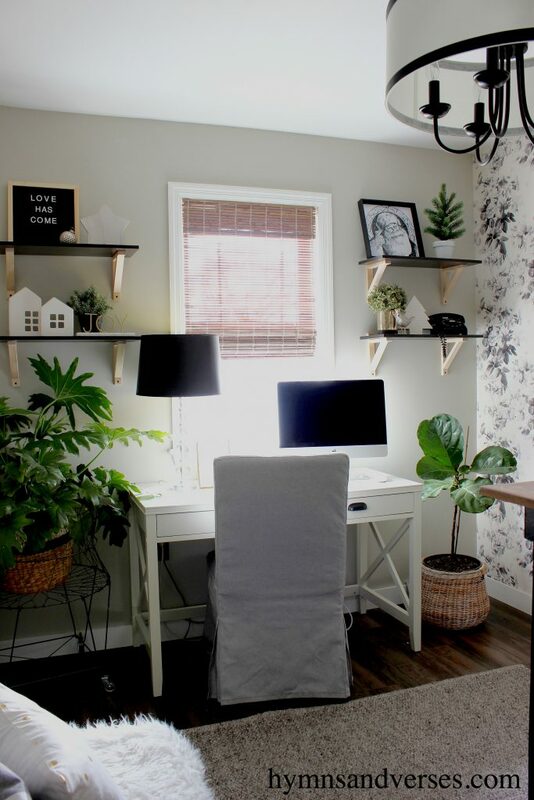 loving your new office…. but probably not as much as you. it’s gorgeous. Merry Christmas! Simply beautiful. I love the entire thing! 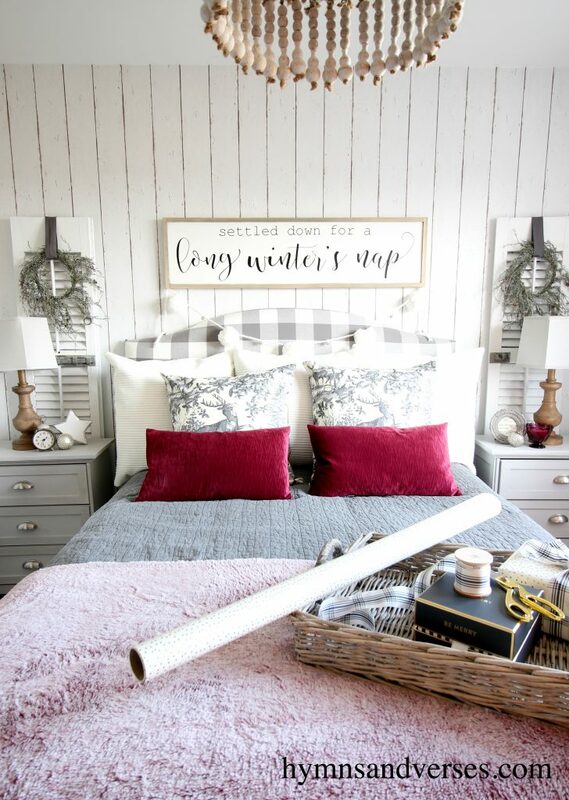 LOVE the winters nap sign you made…any chance you’ll have a tutorial, or will you be selling them?